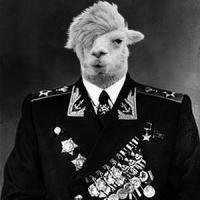 Admiral Llamamoto says....nice try haters! Admiral Llamamoto says "eat whatever you like, I don't care..."
Admiral Llamamoto is most displeased with all of the furor over his portrait! 4/5 Veterans agree - my avatar is NOT offensive. As you may have noticed, Wiki development suspended due to a crushing real world schedule. Apologies for the inconvenience! Fixed a performance bottleneck in the Wiki (too many history pages). Deleted a bunch of them and performance is GREATLY increased. I am withdrawing much of my public forum activity so as not to violate the NDA, or make "educated guess" comments that inadvertently lead to speculation that I am "leaking" information. I am a popsicle meat. The wiki is now installed in its new home on a dedicated cloud server. If you can't see it yet, try reloading it in an hour or so! Y'all got excited about Alpha and took the Wiki offline! I'm moving it to a bigger, better server and should have it up tonight or tomorrow morning. Starting the slow process of bringing the Wiki current again. Bear with me while I work through the backlog! Keep real life political/world issues off of this forum. We come here to have fun and escape from life's daily stresses, not to have to rehash them.